Okay, a few months ago, I’d heard that deadwood had released version 1.25 of OWB for AROS. Since then, he’s opened up the source and improvements have been rolling out. While I haven’t grabbed the latest version, I did want to do a comparison between 1.25 and the 1.24 used on MorphOS (since I recently upgraded to MorphOS3.9 on my Powerbook G4). 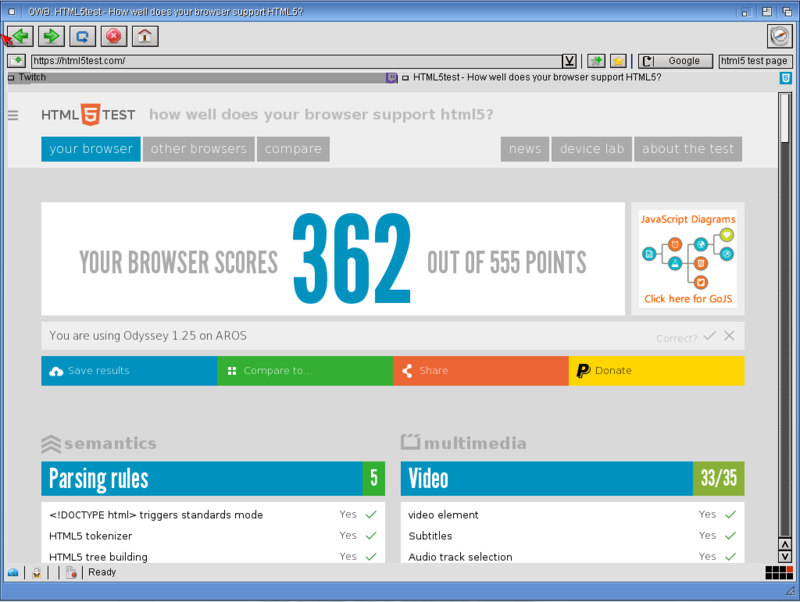 At the time, I thought that was good considering that Amiga browsers tend to be way behind the rest. So, next step will be to updated to the latest build from the open github dev version of 1.25 and try again.